The Real Estate Market is HOT HOT HOT! Homes are selling over asking price in most areas this spring. The market is on fire! 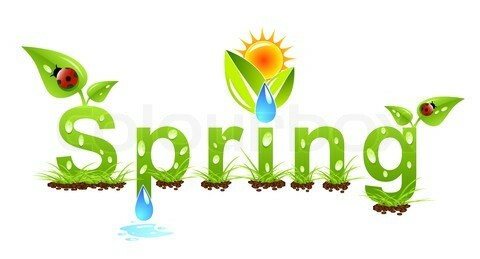 Do you need some help this spring getting your home in tip top shape to ensure you earn top $$? Small details can make your home look dumpy without you even realizing it. Freshen up rooms with new switch plates and outlet covers if yours are grubby from fingerprints or yellowed from aging. Polish handles and hardware and use a Mr. Clean Magic Eraser to remove minor spots and scuffs. 5. Make the House Sparkle! Pressure wash the sidewalks and exterior of your home. – Clean and test smoke alarms and carbon monoxide testers. – Test and reset ground fault circuit interrupters (GFCI) breakers. – Adjust registers and confirm that registers and cold-air returns are clear of furniture or draperies. – Operate the air conditioning system; if service is needed it is more conveniently arranged now, before the busiest part of the season arrives. – Make certain the air conditioner compressor is level and clear of debris. – Drain sediment from the bottom of the water heater per manufacturer’s instructions. – Inspect grout around tile (floor and wall) and touch up as required. – Wash windows and screens, clean drainage holes, and lubricate tracks. – Check caulking, indoors and out, and touch up as required. – Check garage overhead door, tighten bolts as needed, and lubricate springs with motor oil. Have other repairs done by professionals. 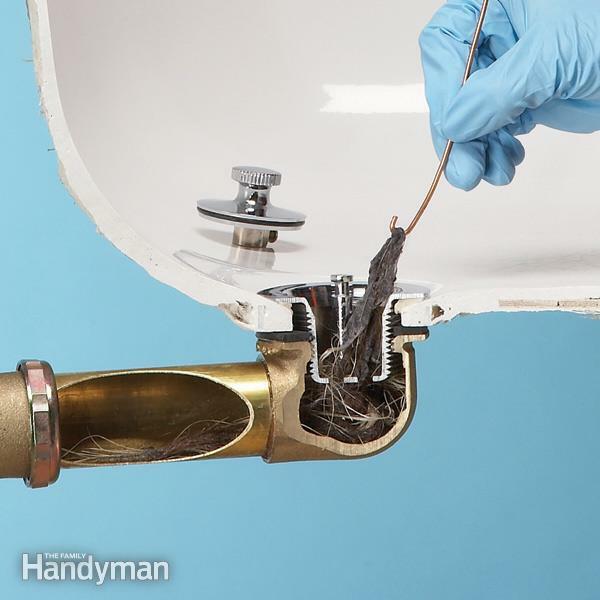 – Test exterior faucets for broken pipes. – Clean gutters and confirm that downspouts or splash blocks drain away from the house. – Look for settling of backfill soils and fill in where needed. – Check exterior paint and stain surfaces (especially stained doors) and refinish as needed. – Plan your first barbecue of the season! ​Spring and it’s time for the annual outdoor clean-up. 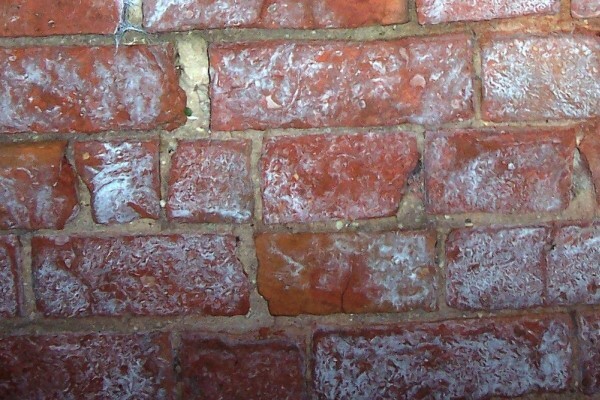 Look at those ugly white stains on your brickwork. They’re left by soluable salts that have leached to the surface of masonry or mortar. Use a stiff brush on them then saturate the masonry with water. Most will go away. For the stubborn ones, use a 1-to-10 solution of muriatic acid and water, and then rinse. Best solution, or course, is to find the leak that caused the moisture and stop it. ​Other stubborn spots in the yard can be easily cleaned up too. If the stain is oil, use emulsifying agent for brick, automotive degreaser on concrete block. To clean up paint surfaces, 2 lbs. TSP to 1 gal. water. Iron stains yield to a mixture of 1 lb. oxalic acid crystals, 1 gal. water, and ½ lbs. ammonium bifluoride. Did you know that the Canada Mortgage and Housing Corporation (CMHC) offers a website full of information to help you seniors stay in their home longer? The accessible homes page offers information and plans for ramps, accessible bathrooms and kitchens, lifts and residential hoists and much more. 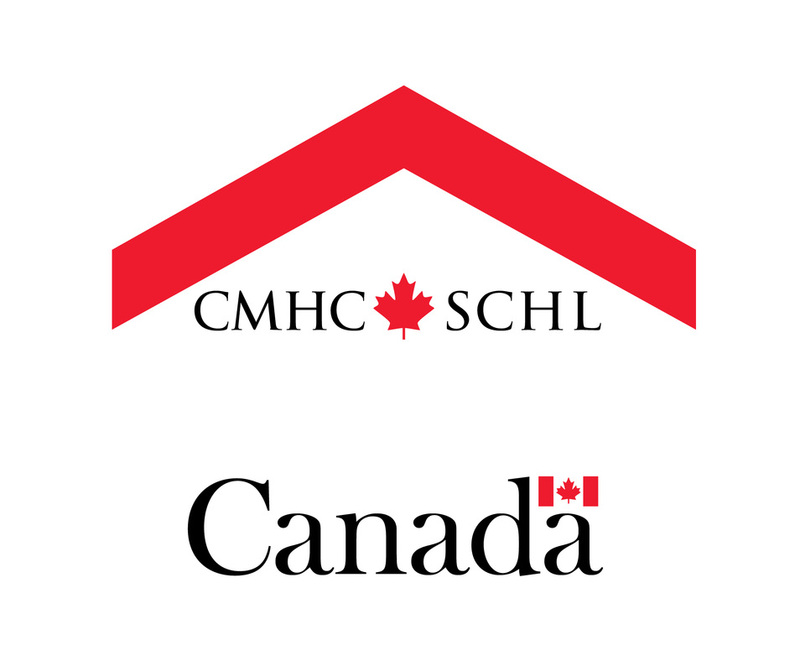 CMHC is a great resource for homeowners of all ages. Check it out today! Calling all homeowners in the old part of town!!! Don’t let the wall cracks get ahead of you. Keep up with the cracks: Cracks in plaster walls are caused by settlement, vibration, atmospheric conditions, and sometimes faulty construction. 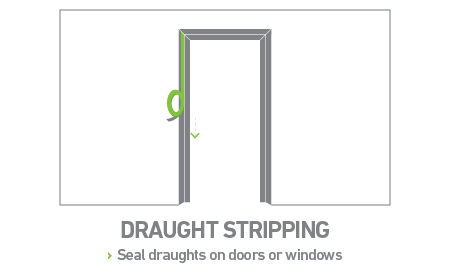 Do a careful inspection, particularly around doors, windows, mouldings and corners. Pinpoint hairline cracks that could become larger. Repair them, particularly if planning to redecorate. Here’s how: remove loose particles by running a thin blade along the crack. Brush out the dust. Rub in filler with fingertip, forcing it in a deep as possible. When thoroughly dry, sand level, then prime with shellac or sealer to prevent absorption of paint. Wider cracks: Enlarge and undercut crack to provide gip for filler. Mix plaster patch until thick and buttery, brush water into crack to dampen surface, then fill opening completely with patching material using putty knife. Remove access from surface. Use fine-grade sandpaper on block to smooth and level patch. For really big crack: undercut and remove loose plaster, then dampen and fill cavity. Allow to dry for 24 hours. If shrinkage occurs, dampen and patch again. If the job is too big or too messy for you: call Blake the Handyman at (905) 960 FIXR (3497). With heating costs rising, here’s an easy way to keep heat from escaping out your doors, too. The job will take you less than an hour, but plan to do it on a warmer day, as you're going to have to take the door off. Before you get started you'll need to gather up your tools and supplies. Look at all three sides of your door to determine what kind of weather stripping you need. Seniors Qualify for Healthy Home Tax Credits! Choosing whether to stay in your home or move to a seniors residence is a difficult decision to make. It is a choice that all of us will be faced with at some point in our later years. For some, the choice is simple. Their home is where they’d prefer to be. It is important to prepare your home, and make it safe for your aging needs. Installing additional handrails, grab bars in the washrooms and comfort height toilets are just a few of the small adjustments you’ll likely need to make. There are many new products that are adapted to give seniors the ability to stay in their home longer. Motion activated lighting, hands free taps, and touch and release drawers and cupboards all provide simple adjustments to take the stress out of managing your daily needs as you age. With costs of nursing home care rising steadily, the government of Ontario has instituted a special tax credit for seniors who want to stay in their homes, to encourage safe home living in an effort to keep seniors in their homes longer. You can claim up to $10,000 worth of eligible expenses per year. All you have to do is save your receipts and submit them with your tax return. Only certain renovation work qualifies. Installing non-slip flooring, installing adjustable/lowering counters or cupboards or a hand-held shower are examples of work that will qualify. A full list of qualified improvement examples is available at www.blakeshandymanservice.com/healthy-homes . There are also many programs available for people with disabilities to stay in their homes including Medical Expense Tax Credits, CMHC’s Residential Rehabilitation Assistance Program for Persons with Disabilities, Property tax exemptions for certain home alterations. The Ontario.ca website has many resources for you including a tax credit calculator to see how much money you could get back for your improvement work .